The Apple Tree pub was originally a dwelling house with a bake house in one of the outbuildings. The dough trough was still there at the turn of the century. When it became a pub, a room was added to the front with a window looking down Station Road. In the foreground is Mr Hack's shop in Station Road (later Mrs Kettle's shop). This very old house was once owned by the Sculthorpe family. 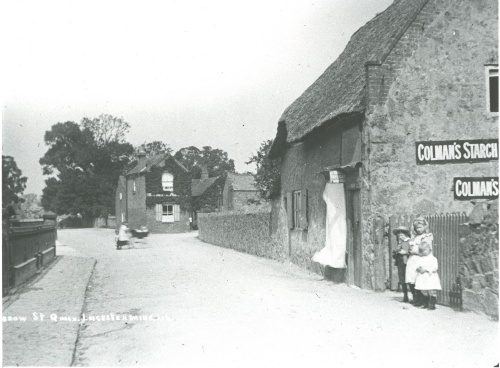 According to an article written by the Reverend Foord-Kelcey, the cottage was once called 'Felton Cottage' after William Felton of Quorn who married in 1657. The name stayed for 140 years after his death in 1682 for it is described as Felton's Cottage in a deed of 1821.